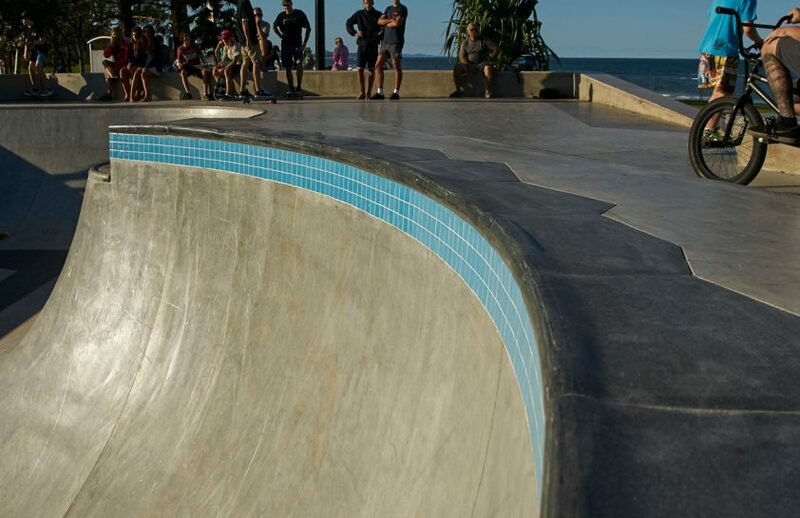 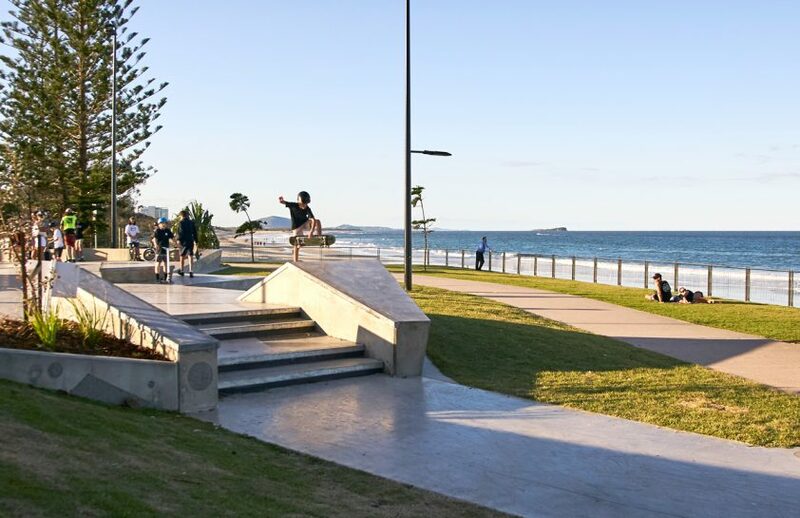 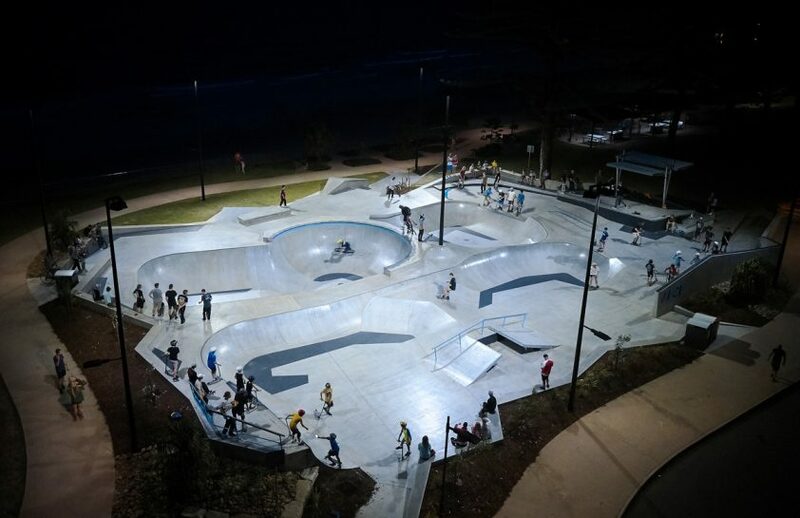 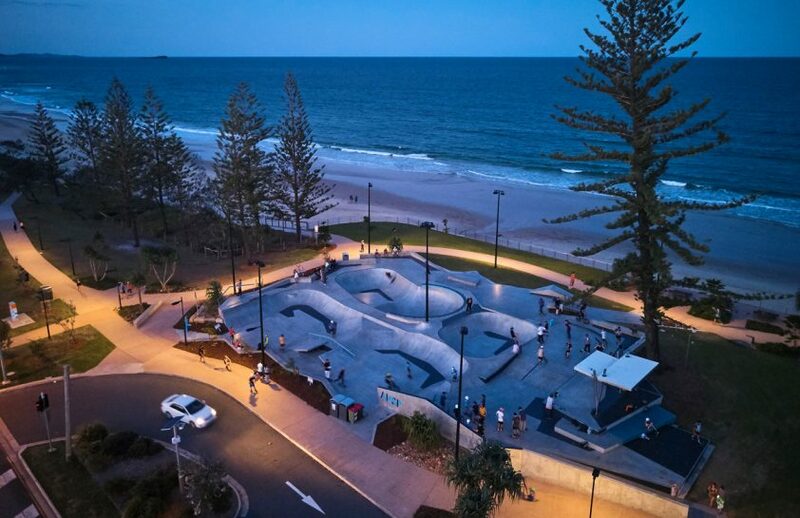 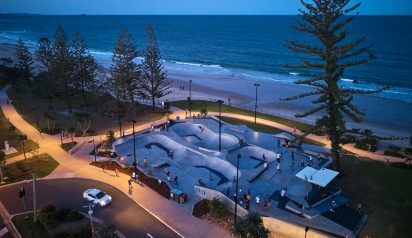 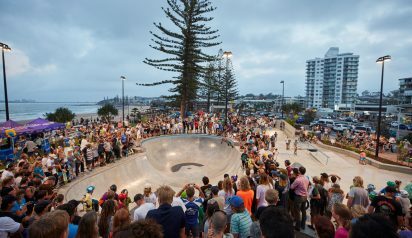 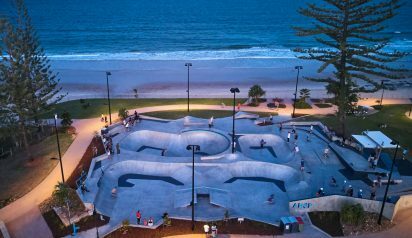 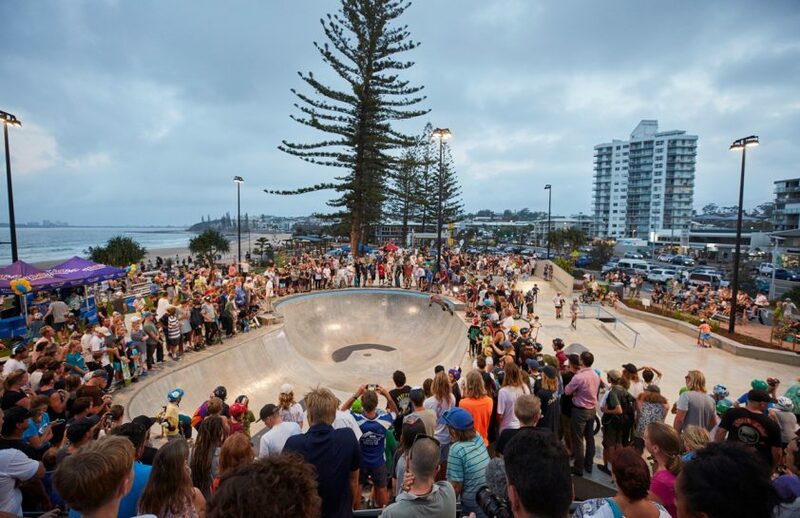 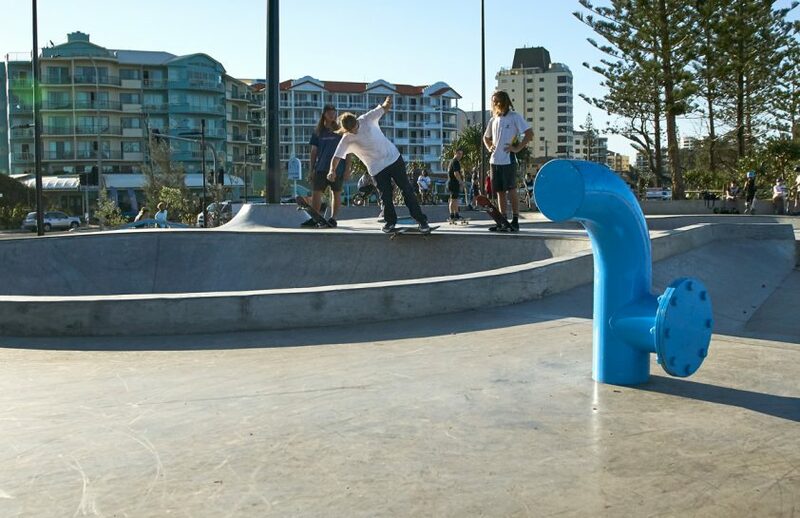 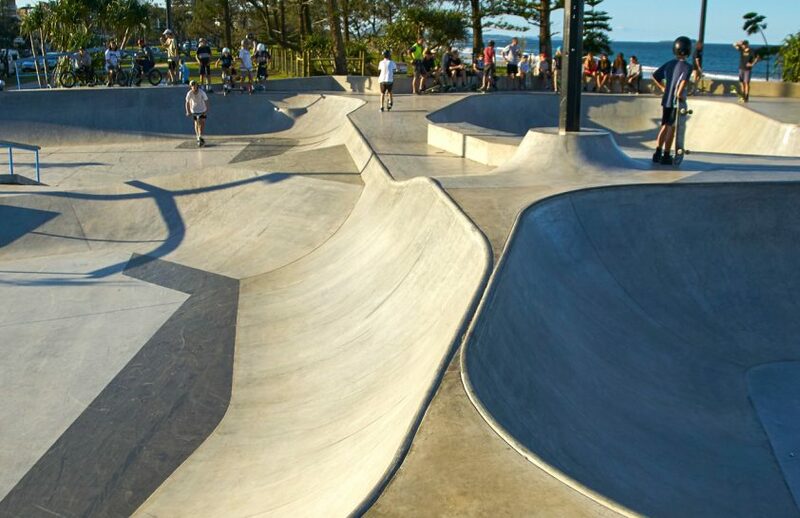 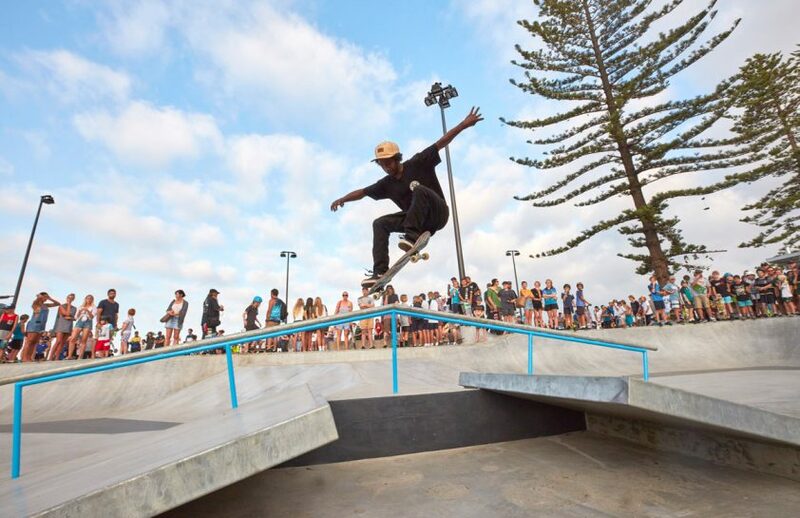 An iconic beachfront location on the Sunshine Coast and the existing large Norfolk Pines create a stunning backdrop for the new Alexandra Headland Skate Park. 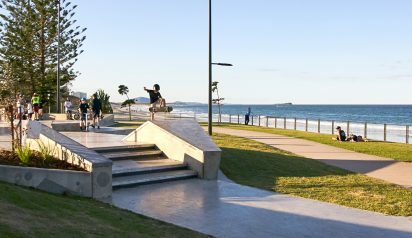 Comprising of both a street and transition style park which creates a central active hub for all user types and disciplines. 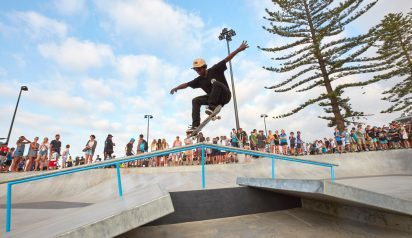 A tiered stage facing park land has been created for community events along with plenty of opportunities for spectators to view the action in the skate park. 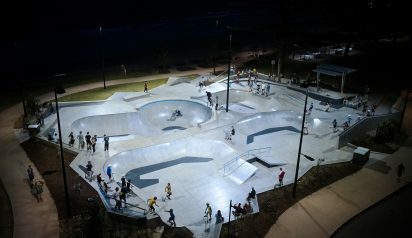 The 1100 sq.m. 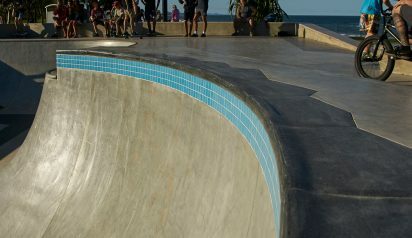 park features a mini-bowl with kerb lip, a big bowl with a 9 ft deep end and granite coping. 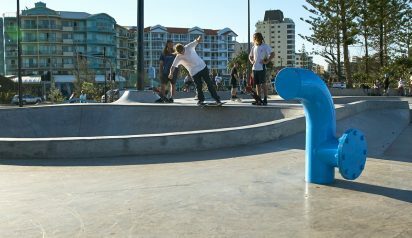 The segmented street section features a kicker to kicker with rail, pole jam, wall mounted handrail, hubbas, and a stair set. 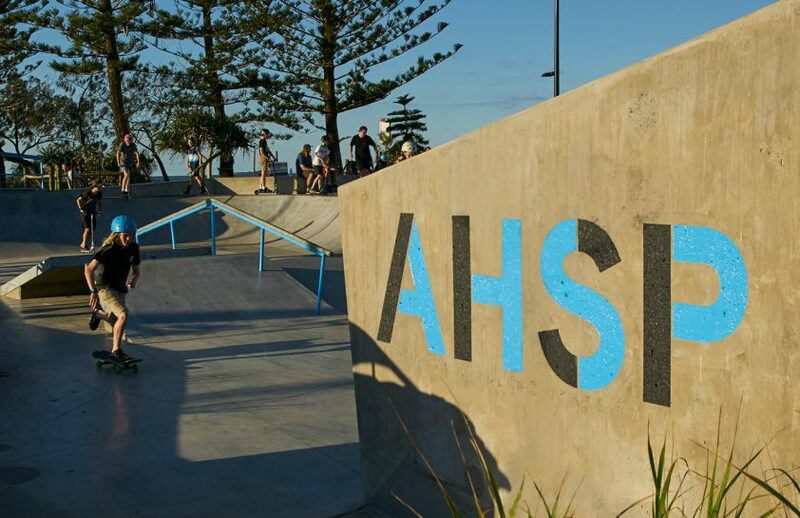 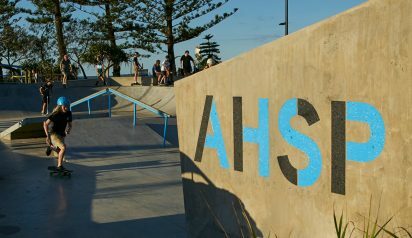 These elements ensure that the Alex Head Skate Park is a multi-generational, all ability, mixed skill level facility and has already become a huge asset to the Sunshine Coast community. 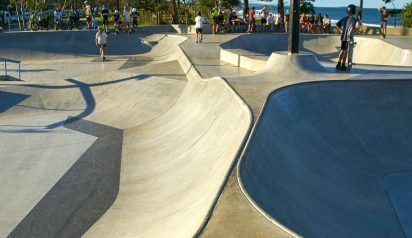 Check out this video of the park.